Rheonix will be exhibiting at the Craft Brewers Conference (CBC) and BrewExpo America® in Denver, CO, April 9 – 11, 2019. CBC is the largest brewing conference and trade show in North America, and provides a valuable opportunity to connect with both growing and established breweries, as well as to explore business opportunities with those that supply the brewing industry. Come by booth 19071 during the tradeshow to learn about the Rheonix Beer SpoilerAlert™ assay, the most complete beer spoilage test available. The Rheonix method can be used on a variety of sample types, and provides more information per sample than the leading competitors, all on a simple to use platform. We hope to see you there! Please join us at the 10th Anniversary Meeting of the Arkansas Association for Food Protection September 18 - 20 in Fayetteville, AR. Brooke Schwartz, Rheonix Vice President for Strategy and Marketing will speak on “Listeria Strain Typing: Which Molecular Subtyping Method is Right for You?” in Future Directions for Molecular Detection, Next Generation, Sequencing and Microbiomes in Food Safety, Wednesday, September 19, 8:00 - 11:00 AM. We invite you to stop by the Rheonix booth in the Exhibit Hall to learn more about the Rheonix Listeria PatternAlert™ assay. Please join us at the AOAC 2018 Annual Meeting for a symposium on state of the art technologies for Listeria detection, typing and control, co-organized by Brooke Schwartz, Rheonix and Sarita Raengpradub Wheeler, Mérieux NutriSciences. Morgan Wallace (Rheonix), Preetha Biswas (Neogen), Timothy Freier (Mérieux NutriSciences), and Peyman Fatemi (The Acheson Group) will discuss recent challenges, advances and lessons learned in Listeria control. Symposium: Advanced Listeria Detection and Control: What’s the State of the Art Today? Rheonix will be exhibiting at the Brewing Summit 2018, a joint conference and exposition hosted by the Master Brewers Association of the Americas (MBAA) and the American Society of Brewing Chemists (ASBC), in San Diego, CA, from August 12 – 15. Stop by booth 315 to learn more about our fully-automated, rapid solution for detection of beer spoilage organisms and hop resistance genes, the enhanced Beer SpoilerAlert™ assay. With detection of more than 60 potential spoilage organisms, and 4 hop resistance genes in a single test, it’s no wonder that our solution is the most comprehensive molecular test available. Be sure to check out our poster (A-124), titled Bioinformatics Analysis to Improve Automated Molecular Detection of Beer Spoilage Bacteria, Yeast and Hop Resistance Genes, on display Monday, August 13 from 11:45 AM - 06:30 PM, and Tuesday, August 14, from 09:45 AM - 02:00 PM, on the Nautilus Level of the Sheraton San Diego Hotel. Rheonix, Inc. has announced the launch of its Listeria PatternAlert™ assay, a breakthrough environmental monitoring technology featuring rapid identification of recurring Listeria patterns direct from an enriched sample. The assay runs on the Encompass Optimum™ workstation, and delivers results in just six hours. The method will assist food producers in identifying harborage sites for persistent Listeria and in tracing back sources of contamination. Come find out more about our exciting new technology at International Association of Food Protection (IAFP) 2018 Annual Meeting. Rheonix will be showcasing the new assay alongside our workstation at booth 926. Morgan Wallace, PhD, Scientific Director of Applied Markets at Rheonix, will deliver a presentation on the Listeria PatternAlert assay titled “Development of a Molecular Listeria Pattern Recognition Assay, a Novel Rapid Method for Identifying Resident Listeria.” The talk will take place on Wednesday, June 11 from 2:00 – 2:15 PM in the Salt Palace Convention Center, Room 151 D-G.
Rheonix is proud to be exhibiting at the Craft Brewers Conference and BrewExpo America®, presented by the Brewers Association, a recognized leader in the national and international brewing arena. Rheonix can be found at booth 3200 at the BrewExpo America during regular exhibit hours. The show floor is located in the Music City Center in Nashville, TN, and is open May 1 – 2, 9 AM to 5 PM and May 3, 9 AM to 3 PM. Swing by our booth to find out more about the Beer SpoilerAlert™ assay, and see how Rheonix can help you better manage quality in your brewery. Rheonix is proud to be a sponsor and organizer of the AOAC International Pacific Southwest Section 2018 Annual Meeting. Please join us for presentations by leaders from government, food industry and commercial testing labs leaders on next generation technologies in food safety, quality and authenticity testing. Morgan Wallace, Ph.D., Scientific Director, Applied Markets, will speak on breakthrough technologies for detecting and identifying Listeria in food processing facilities. 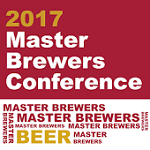 Rheonix is proud to announce that we will be exhibiting at the 2017 Masters Brewers Conference. Swing by Booth #50 to learn more about the Rheonix Beer SpoilerAlert™ assay, and how our fully automated, highly multiplexed molecular test can help you control the quality of your beer! The Encompass Optimum™ workstation will be on display to demonstrate just how simple and convenient our assay is to run. Peter Trabold, Director of Business Development, will also be helping to lead a workshop on molecular testing methods titled “PCR Curious?” The session will take place on Friday, October 13th between 8 – 11:45 AM. The session will cover use of PCR as a brewery QC method, and Peter’s talk will explain the benefits of multiplexing and automation. Rheonix is pleased to announce we will be exhibiting at the 9th Annual Arkansas Association of Food Protection (AAFP) conference. The AAFP annual conference brings together food safety professionals from industry, academia, and regulatory entities to discuss emerging topics, and promote the development of the food safety community. Attendees at this conference include large multinational food distributors headquarted in the region. Rheonix will be on-site with one of our instruments, showcasing our currently capabilities, and promoting our new and upcoming assays. Morgan Wallace, PhD, the Scientific Director for Applied Markets, will also be moderating a panel titled “New Developments in Post-harvest & Retail Food Safety” on September 19th, at 10:30am. Rheonix is pleased to announce that we will be exhibiting at the IAFP 2017 Annual Meeting. Come check out the Encompass Optimum™ workstation at Booth # 1009, and learn about how our fully-automated molecular diagnostics technology can help simplify your testing process. Morgan Wallace, PhD will also be presenting a poster, titled Evaluation of a Highly Multiplexed, Automated Assay for the Detection of Beer Spoilage Flora. Morgan can be found at Poster #115 on Wednesday, July 12 from 1:00 – 3:00 PM (Poster Session 3) in the main Exhibit Hall. Brooke Schwartz and Morgan Wallace will convene a Round Table discussion entitled Hog Slaughter Modernization and Salmonella Performance Standards: Should Pork be Treated the Same as Poultry? Panelists include the USDA Food Safety and Inspection Service, Canadian Food Inspection Agency, Smithfield Foods, North American Meat Institute, and STOP Foodborne Illness. RT #14 on Wednesday, July 12 from 10:30 AM – 12:00 PM, Room 18-19, Tampa Convention Center. The American Society of Brewing Chemists (ASBC) Annual Meeting is one of the premiere technical conferences supporting the brewing industry. Rheonix is pleased to announce that we will be exhibiting at this year’s conference, which features a variety of professionals in the brewing sciences, including members representing large and small breweries, supply and technology companies, academic researchers, along with government and regulatory agencies. The focus of the meeting will, as always, be the creation of better beer through the use of science-based approaches and will facilitate the transfer of knowledge on the latest beer science to the brewing community at large. Rheonix will be on-site to showpiece our Beer SpoilerAlert™ assay, a fully-automated, robust spoilage organism detection technology. 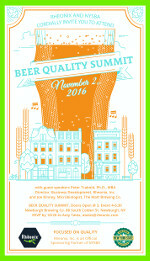 We hope you are able to join us and see how we can help you better manage the threat of spoilage in your beer. Rapid testing techniques are becoming more widely used in food microbiology laboratories as part of the drive to produce faster and more accurate results. Conventional microbiology is also experiencing many changes with the onset of new media and confirmation kits. This seminar will combine presentations from the areas of rapid and conventional testing, with emphasis on new and emerging methods, method selection, method validation considerations and financial impact. Microbiologists, manufacturers, and technologists from the food and drink industry will be in attendance. Rheonix will be on-site exhibiting its exciting capabilities in the food and beverage testing field. ASM Microbe is the largest gathering of microbiologists in the world and the only meeting in the field that explores the full scope of microbiology – from basic science to translational and clinical application. Rheonix is pleased to be a sponsor of the annual Food Micro Networking Event at ASM Microbe 2017, Friday, June 2, 5:30 -7:00 PM at the Sheraton New Orleans. Rheonix is proud to be exhibiting at the Craft Brewers Conference and BrewExpo America®, presented by the Brewers Association, a recognized leader in the national and international brewing arena. For professional brewers, CBC is the number one environment in North America for concentrated, affordable brewing education and idea sharing to improve brewery quality and performance. The conference is also a great social event with thousands of brewing industry professionals enjoying craft brews together. BrewExpo America allows exhibitors and buyers to develop profitable business relationships and helps brewing and brewery restaurant professionals encounter the latest and best products and services that industry vendors have to offer. Rheonix can be found at Booth #763 at the BrewExpo America during regular exhibit hours. The show floor is located in the Walter E. Washington Convention Center and is open Tuesday (4/11) and Wednesday (4/12) from 9 AM to 5 PM and Thursday (4/13) 9 AM to 3 PM. Swing by our booth to find our more about the Beer SpoilerAlert assay, and see how Rheonix can help you better manage quality in both your beer and your brewery. Hosted by the Brewing Quality Lab scientists at the USciences Laboratories, the annual ASBC LABS meeting will feature a variety of technical presentations, workshops, and networking opportunities in the Brewing Quality realm. As an official sponsor, Rheonix will be on-site to showcase our Beer SpoilerAlert Assay and the Encompass Optimum workstation, which combine to provide rapid detection of spoilage organisms in beer. Come check us out, and see how Rheonix can help improve quality in your brew lab. Rheonix is pleased to be on the Program Organizing Committee for the 2017 Annual Meeting of the AOAC International Pacific Southwest Section, “Meeting Emerging Quality and Safety Challenges.” Please join us for presentations by leading food safety experts from FDA, USDA, Cal EPA, UC Davis, Mérieux NutriSciences, Mars-IBM Food Safety Consortium, Covance Food Solutions and others. Food Safety topics include an update on the Food Safety Modernization Act, identifying and monitoring microbiological and chemical risks, pathogen source tracking and more. Rheonix is proud to assist in sponsoring the Annual Meeting of the Brewers of PA. Stop by our table at the East End Brewing Co. the evening of the 29th to hear about how our technology can help you manage spoilage organisms at your brewery. And don’t forget to head on over to Penn Brewing Co. on the 30th for an informative talk by Alastair Pringle. Dr. Pringle, an Assistant Professor at Maryville University, has over 30 years of microbiology experience at multiple breweries, and will be discussing it’s impact on beer quality. We look forward to seeing you there! The Northern and Southern California Districts of the MBAA convene once again, boasting a fantastic line-up of technical presentations on beer. Rheonix is delighted to help sponsor this event, and will be on-site to showcase our impressive capabilities in spoiler detection. We hope you have a chance to stop by and learn about how our innovative technology is helping brewers more effectively manage the quality of their beer. Peter Trabold, Director of Business Development at Rheonix, will discuss common spoilage microorganisms and genes that can be found in a brewery, how they can spoil beer and various ways to detect them, including Rheonix’s beer SpoilerAlert™ assay that was released at the World Brewing Congress in August.